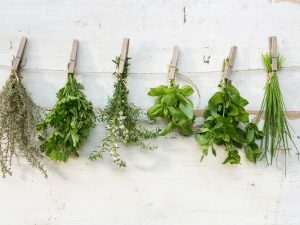 Here is a read that is aimed to help you a tiny bit. 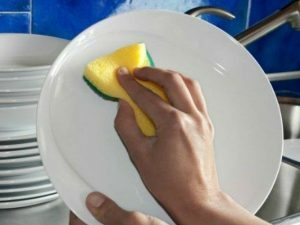 Read on to know how to properly clean dishes with your hands in the absence of a dishwasher. Many of us may not go through the regular grind of putting on gloves before we end up scrubbing the utensils. It is also not common for all to have a dishwasher to help with the daily dishwashing chores. 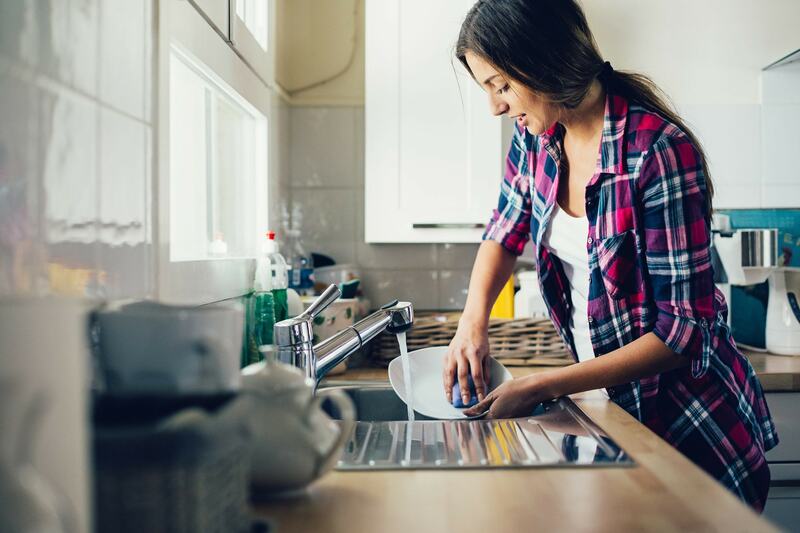 To ease the dishwashing hassle, it is important to know which utensils can be washed in a dishwasher to keep them in a good condition. Here is a read that is aimed to help you a tiny bit. Items that should be hand washed. Knives, wooden items, fine glassware, any decorated item, chinaware, pots, cast iron products, and pans should always be washed by hands. 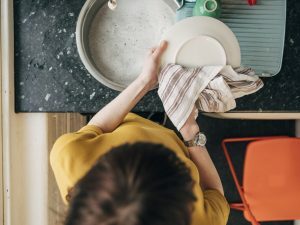 How to begin cleaning with hands. You must start by scraping off food debris from the spatulas or cooking utensils before you start washing them off. Utensils which have some crusty stuff stuck on it should be soaked in a mixture of hot water and soap. Baking soda can also be used for really tough stains. Using the soap correctly. 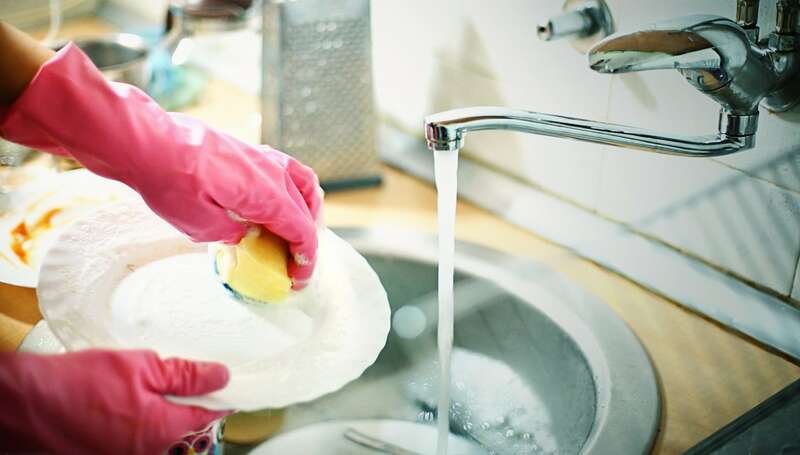 You must choose the right kind of soap and scrub to wash the utensils correctly, as you don’t want to lose the valuable coating on the pans by scrubbing them with a harsh material. 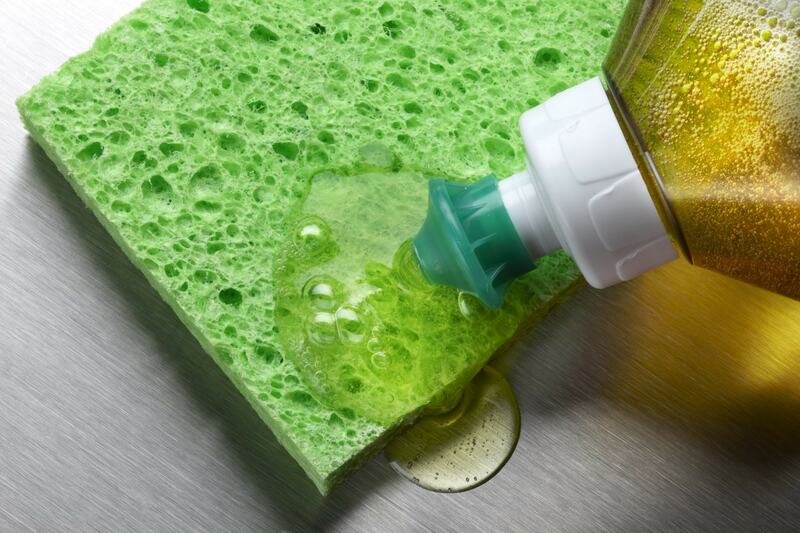 Also, wash and sanitize the sponges regularly to keep mildew away. Go inside out. For not so dirty pots and pans, you can clean the outside of the pans last, but for the ones that are dirty inside should be cleaned from the outside first so that the food debris is not spread all over the utensil. Use water sparingly. You can fill the kitchen sink with a soap solution and then soak the utensils in it. Then you pick each utensil and scrub it lightly to minimize the consumption of water. You may also consider using hot water to soak the utensils, this will help to wash off the grease from them. Hand dry. If you have time, you can consider hand drying all the utensils with a clean cloth before placing them for air drying. It is best to towel-dry the glassware.